With the Sochi 2014 Olympic Winter Games just months away, The North Face, partner of the U.S. 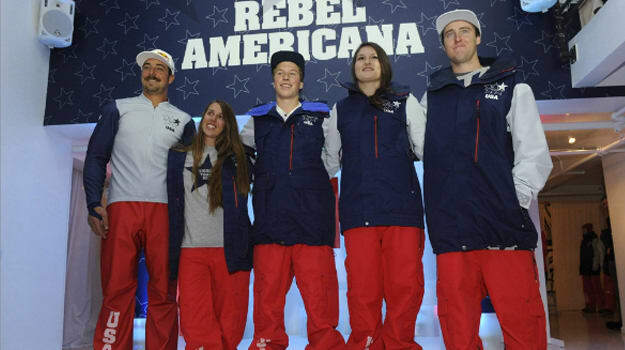 Ski and Snowboard Association (USSA), unveiled today the official 2014 Freeskiing Competition uniforms for Team USA. “We are proud to have teamed up with the USSA and U.S. Freeskiing to create one of the most advanced and unique uniform collections for our U.S. athletes to proudly wear in Sochi,” said Aaron Carpenter, vice president of global marketing for The North Face. The North Face enlisted the help of some of the top freeskiing athletes, including Tom Wallisch, Maddie Bowman, Devin Logan and John Teller, to test out the new uniforms. And judging from the feedback, the athletes got exactly what they asked from to help them shred up the Sochi mountainside. The 2014 Sochi Winter Olympics kick off in February. Be sure to check out your favorite American athletes as they go for gold on one of the biggest stages in winter sports.